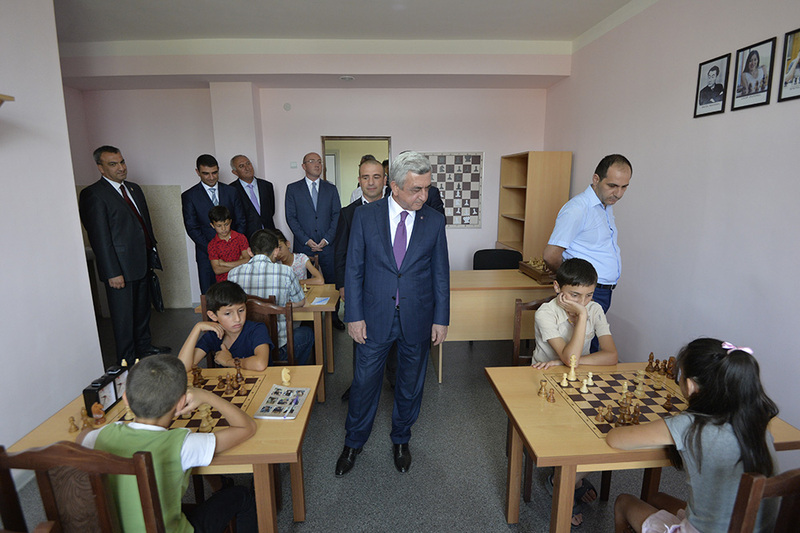 President Serzh Sargsyan traveled to Aragatsotn Marz for a working visit. 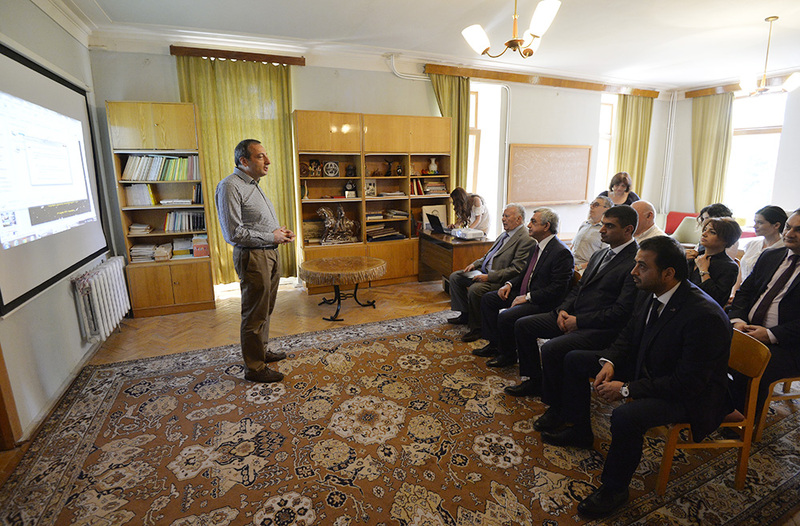 The Head of State called at the Byurakan Observatory after V. Hambartsumyan by the National Academy of Sciences of the Republic of Armenia to get familiar with the projects proposed by the staff with a view to strengthening the scientific and educational role of the observatory and attracting young specialists, as well as stimulating tourism in this region. One of the proposals implied the founding of a scientific and educational center based on the idea of teaching astronomy through modern methods mediating a virtual observatory. 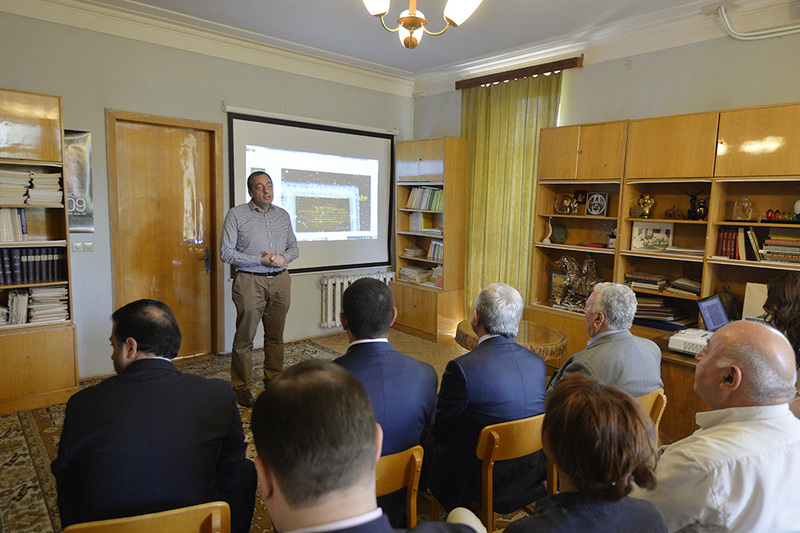 In order to strengthen the cognitive role of the observatory, as well as to demonstrate Armenia’s scientific assets to schoolchildren, students and other visitors, including foreign visitors, the observatory plans to set up a visiting center, which will be comprised of a museum of astronomy history, a planetarium, lecture halls. The road leading to the telescope and the surrounding area will be upgraded under the project. Together with the observatory’s leadership and the President of the National Academy of Sciences, President Serzh Sargsyan discussed ways of materializing the proposed projects with a focus on priorities, challenges and alternative options for achieving these goals. Recommendations were submitted to amend the charter and the procedure of the international scientific award after V. Hambartsumyan in a bid to make the award even more useful and fruitful for Armenia. 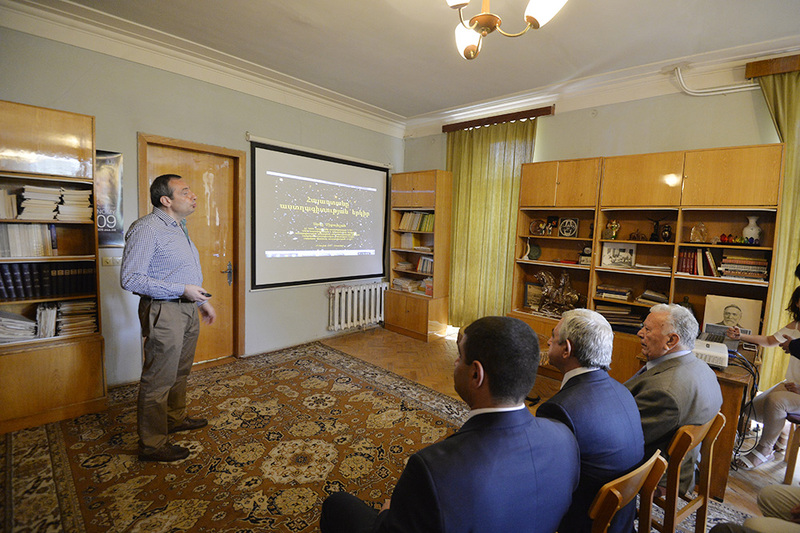 According to the authors of the project, the proposed amendments will serve the cause of promoting astronomical research in Armenia and will help the Armenian researchers to integrate with the international astronomical community, foster interest in astronomy among local students and schoolchildren. 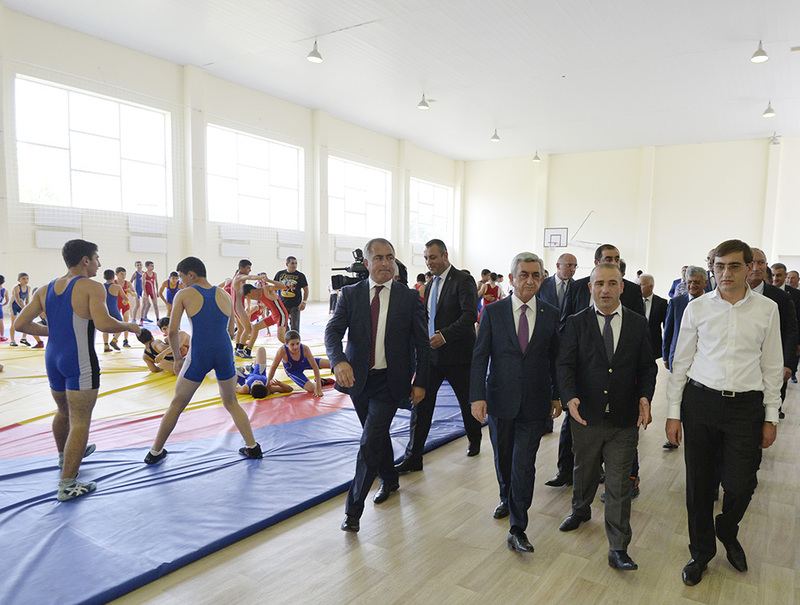 The Head of State left Byurakan for Ashtarak town, where he attended the opening of the rebuilt and overhauled youth sports school of Sevan sporting association of Armenia. 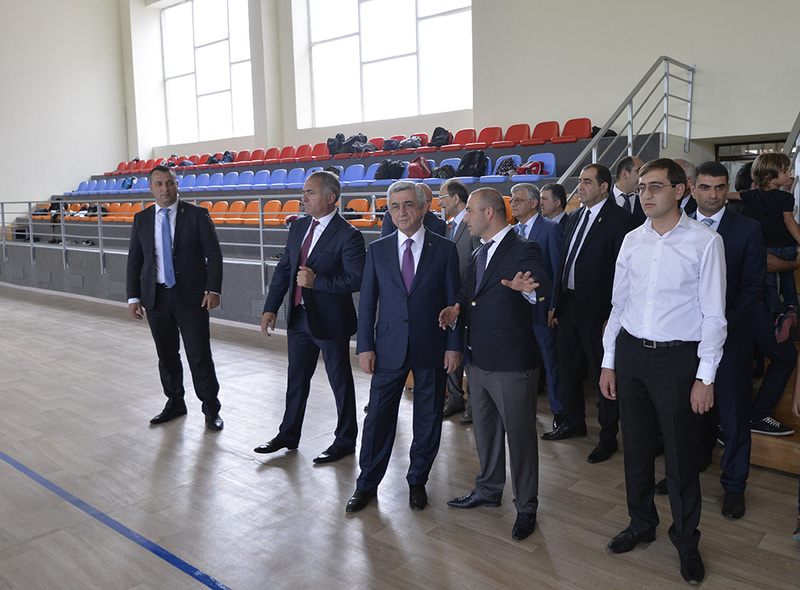 Accompanied by the representatives of municipal authorities and local sporting community, the management, coaches and pupils of the school, President Sargsyan toured the premises getting acquainted with the work done so far, the training amenities and opportunities. The President talked with the representatives of the sporting community and the school’s pupils. 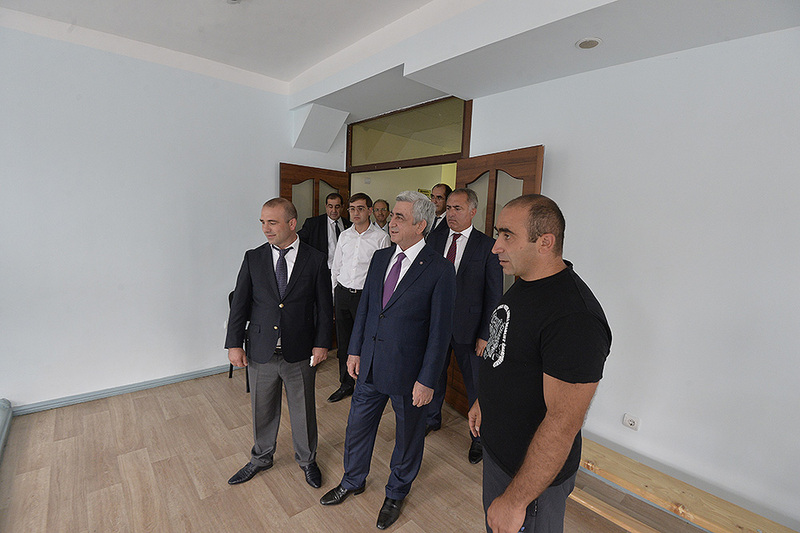 The reconstruction and overhaul of Ashtarak’s sports school were completed using State budget funds. 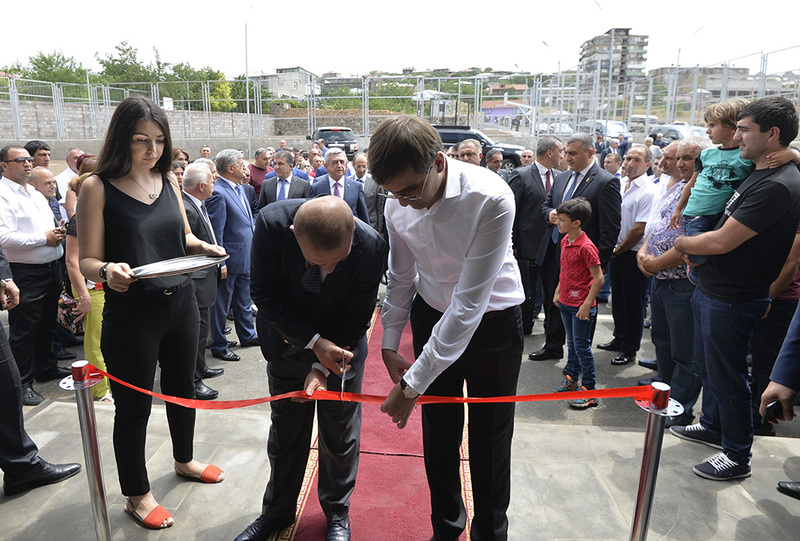 Initiated by the President of Armenia, the project came to completion in July 2017. The total cost is about AMD 463 million. Some 350 young athletes from Ashtarak and neighboring communities can attend the rebuilt school, which will host training groups in free-style and Greco-Roman wrestling, volleyball, boxing, football, basketball and weightlifting.